Adopted as an infant, Jane Aaron longs to know the identity of her birth mother and why she gave her up. Her only clue is the name of the small Texas town where she was born, so she’s come to Cedar Springs for answers. One Season of Sunshine by Julia London is supposed to be a contemporary romance, and in many ways it is, but there's more to it. I would say this book is a combination women's fiction/contemporary romance. Jane is a 30-year-old woman who was adopted at birth and is driven to find her birth mother. She has a great life -- a wonderful, loving family, a great career as a teacher, and a loving boyfriend in Jeremy. Yet she leaves it all behind and moves to Cedar Springs, the small town where she was born, to find out who she really is. Jane can't seem to move on with her life until she uncovers that piece of her that seems to be missing. After her move to Cedar Springs, Jane lands a temporary job working for Asher Price as a live-in nanny to his two children, Riley a 12-year-old girl and Adam a 5-year-old boy. The children lost their mother Susanna in a terrifying car accident and Asher owns a business that demands much of his time. He leads a life full of guilt and loneliness. Things progress from there. This is an all around difficult story with likable and not-so-likable characters. 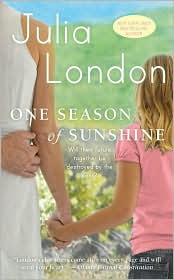 London is actually quite ambitious in her exploration of serious subjects in this book: adoption, death of a spouse, bipolar disorder, guilt-ridden father, traumatized children, dysfunctional families and a romance to tie it all up. First we have Jane, whose sole purpose seems to be "finding herself" no matter the cost. She is portrayed as a woman who at times seems lost, ambivalent and often self-centered while on her quest. Throughout her journey Jane knowingly hurts the people who love her, and while her needs are understandable, her actions are often questionable. We then have Asher, his traumatized children and his marriage to Susanna. All three are key to this story as are the characters. Asher is portrayed as a man who adores his children but who is pulled in all different directions due to his business commitments. He carries more baggage than an Airline on an overbooked flight. Asher feels guilt because he can't be there with his children who are obviously traumatized by their mother's death and his continued absence, he is lonely and depressed after a horrible and unsatisfactory marriage, and he's surrounded by self-centered people who are detrimental to his children's welfare. There are a lot of toxic people surrounding this family. Susanna, although dead, is definitely a big part of this story. Through her character, London explores the long-term effects that bipolar disorder has on the family. 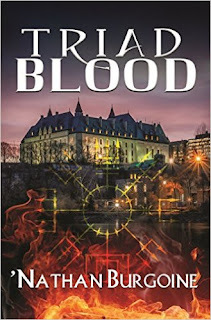 The children, especially Riley whose character is well defined in this book, are featured prominently and their problems are well integrated both with the overall story and the romance. Frankly I didn't know how Jane and Asher were going to work things out until the end. The romance between them took a while to get going, although the attraction was there from the beginning. The romance itself worked for me on some levels because London didn't give these flawed characters an easy romance or an easily obtained happily ever after. One Season of Sunshine turned out to be one of those books full of flawed characters, questionable actions and complex subjects, yet I read it in one sitting and became invested in both the story and the characters. I wanted to know what happened to them all and once I finished the book they stayed with me for a while -- that was unexpected. Definitely an interesting read. I really liked this one because it was so full of flawed characters. I didn't always like Jane, but I believed in her because I have a friend who was very focused on finding her own birth mother at one point in her life. At any rate, London's last 2 contemporaries have been very different and I look forward to more. Great review. Phyl, I definitely liked the flawed characters and situations, and I think the fact that London didn't wrap it all up in a neat little bow at the end made it all work for me. They have a lot of work ahead of them and that's okay. You know I didn't pick up London's first contemporary because the subject didn't appeal to me, but I'll definitely pick up her next one. Nath, she doesn't give up her on family & that's a good thing. It's a book that brings out conflicting emotions, let us know what you think of it if you do read it. Leslie, I picked it up on a whim, began reading it and couldn't put it down. I went through ups and downs, but liked the way London dealt with all these people's lives. The book is not perfect, but there's a touch of realism that goes along with the fiction and the imperfection of the characters that made this an interesting read for me.